Saturday will also be a big day for our U10 footballers (P5 and P6 – boys and girls) as they have the opportunity of playing at half-time during the intermediate final. As in the Intermediate final itself, the half-time games will also feature Tempo v Kinawley. There will be 2 games, 9-aside each game. 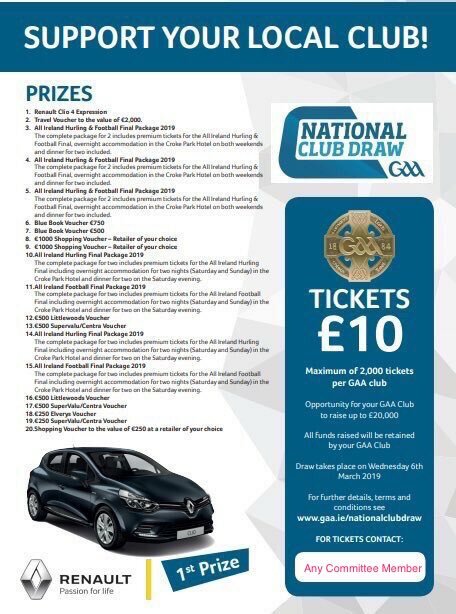 Can all available players meet at Enniskillen Gaels clubhouse (old changing rooms) at Brewster Park at 6.45pm. Come togged out with warm overclothing. Players and mentors will be met and brought into a reserved area where they can watch the Intermediate final. Before half time they will be brought down into the tunnel area in preparation for going out onto the field at half-time. After half time they can return to the reserved seating area. 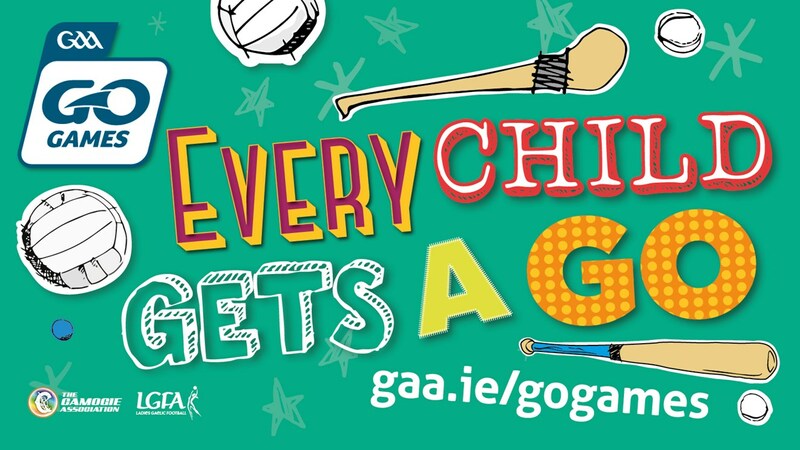 The final Go-games blitz of the year will be held on Saturday 24th at Lissan. Meeting at Lissan at 10.30 and blitz will be over at 12.30. Children should bring warm waterproof clothes, and of course their gum shields. Tempo Og on Sunday morning as normal. 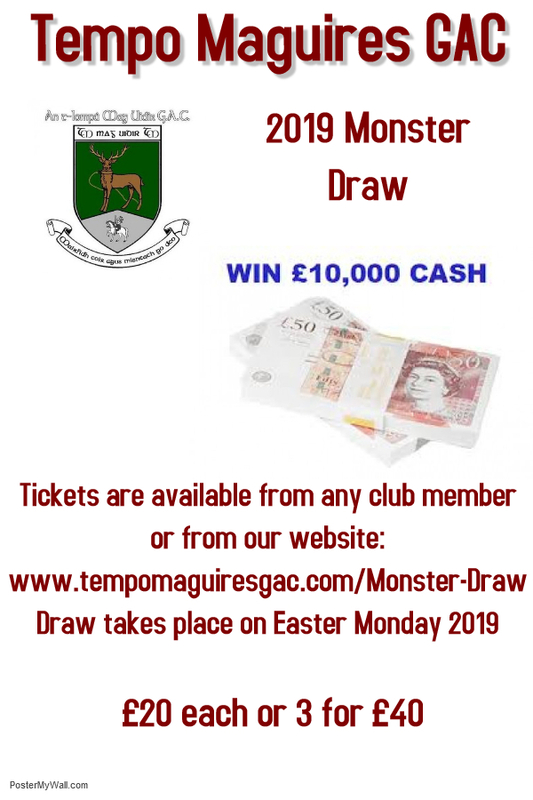 Tempo recorded their 3Rd victory on the trot in Div 4 last night over Lisnaskea. After a close enough first half Rhyss O’Hara scored several points to put some daylight between the teams. Others to shine for Tempo were Conor Wright and AJ Bogue in goals. next Training on Tue at 6pm. Next match next Saturday against Brookeborough. 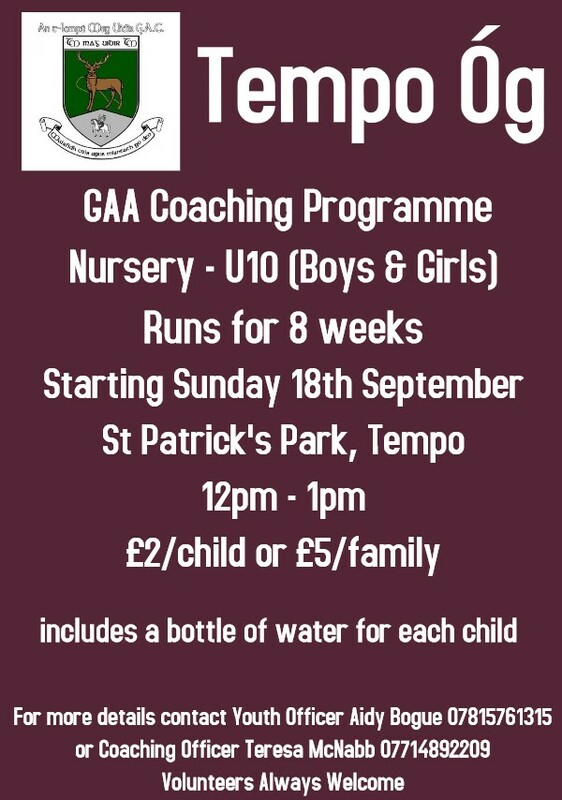 Tempo Og returns tomorrow for any of the u12s still at primary school.